Istanbul is a beautiful place with amazing nightlife. Hagia Sophia Museum is one of the most impressive constructions in the world. It used to be an ancient cathedral in Greek times. Under the Ottomans; the building was transformed into a mosque, it was finally converted into a museum. This is one of the most amazing places in Istanbul. The original construction dates back to the 537 AD. It is one of the best examples of Byzantine art and architecture as well. 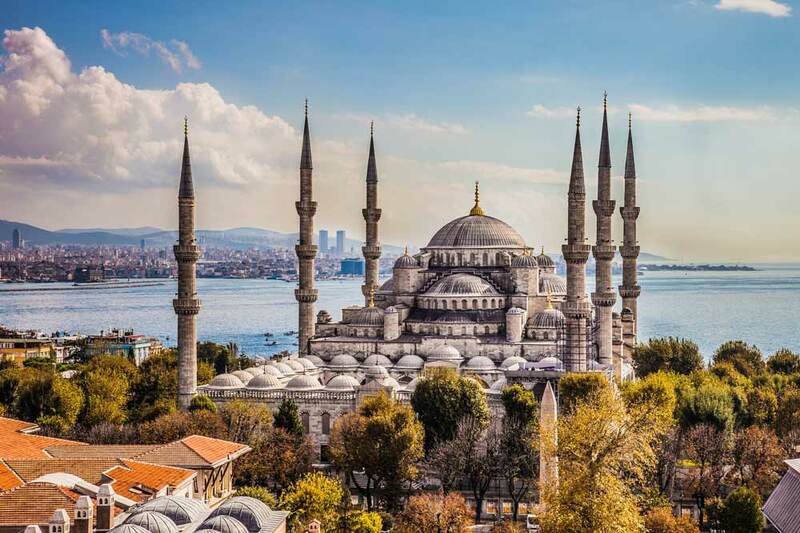 The Blue Mosque is also famous as The Sultan Ahmed Mosque. It was built in 1616 and is a must-visit place. Istanbul is also home to the world-famous Topkapi Palace. The palace was in use until 1853 by the Ottoman Empire. It is located in the Aegean Region. This is one of the most exotic tourist attractions and a perfect tangible rendition of Roman times. The Temple of Artemis is also located here. If you don’t know, it is one of the seven wonders of the ancient world. The ruins attract millions of visitors from around the globe every year. The famous Celsus Library is also present here. Cappadocia is characterized by unique land formations. The entire landscape is dotted with the conical hill. They look like a different land altogether. Cappadocia is also home to ancient civilizations in the world. The humans carved the soft volcanic rocks to make dwellings. The huge cave and tunnel system of Cappadocia is a magnificent wonder. You can still find the underground cities intact. Some restaurants are still operational in the caves. Sounds exciting? Why not packs your bags then? This sea-bound town has some unique ruins to explore in Turkey. It has Roman Amphitheatre; white sand beaches; ruins of temples and much more. So, grab the best MakeMyTrip flight offers and visit Turkey for this beautiful city. You are sure to get captivated by its scenic locales. Antalya is one of the most mesmerizing places to visit in Turkey. You can witness the blue colours of earth and sky merging into one. It is located on the Mediterranean coast and also famous as an exciting beach destination. You can enjoy all kinds of beach activities here. Rock climbing and historical tours are also very popular. The Ruins of Antalya have been featured in many movies and documentaries. It is also famous by the name of the resort city. If you like to explore beauty in odd things, you must visit Ani. It is a ghost city with abandoned constructions and arid wilderness. You will be amused by the eerie yet beautiful aura of the place. The place also features in the UNESCO World Heritage sites. Ani is bound to captivate you and leave you spellbound with its old world charm. No travel information for Turkey is complete without a mention of this place. It is one of the most exclusive and exotic sites in the world. It is famous for its travertine hot water springs. Every year, millions of tourists bathe in them. It is also one of the most searched locations in Turkey. Some other places that you can explore here are Bodrum, Sea of Marmara, Ankara and Mardin. With these amazing mentioned places, you can choose Turkey as your next destination and enjoy a lovely trip. Don’t forget to use the Yatra promo code for huge discount.